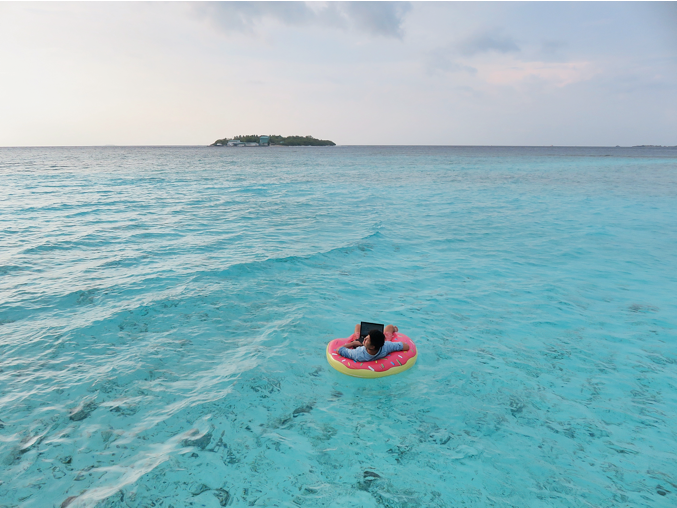 Getting to the Maldives nowadays is no longer hard and unachievable. It may very well be one of the easiest things to strike off on life’s great bucket list. Enough sitting, wishing and waiting. Go forth and make some new memories at one of the most picture-perfect countries in the world. 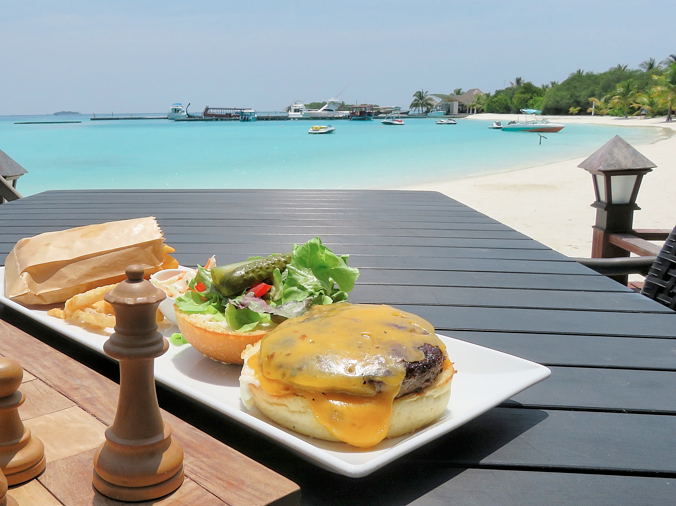 Getting to the capital of the Maldives, Malé, has always been very pricey — until TigerAir came along. Thank God for budget airlines. TigerAir flies directly from Singapore to Malé, and according to their latest promo, it costs as low as SGD 249 for an all-in return ticket. Say goodbye to spending half your travel budget on a thousand-dollar flight ticket. And you can use all that extra money on things that matter. Like wine and snorkelling. If you’re not there on a honeymoon, skip the thousand dollar per night rooms and check out the inns and guest houses near the capital. Somewhere decent will cost you only USD 50-100/night. These guest houses are well-maintained and come with free WiFi. Just go here and search under 2-3 star hotels. Bring your friends and family along. The Maldives is no longer just for honeymoons. Travelling by seaplane to a luxury resort will easily cost you over $400. Even a 10-minute speed boat will set you back by $200. So do it like the locals and take public ferries across the atolls from as low as USD 1. The first time I was there, we stayed at a private resort 30 minutes away by sea plane. 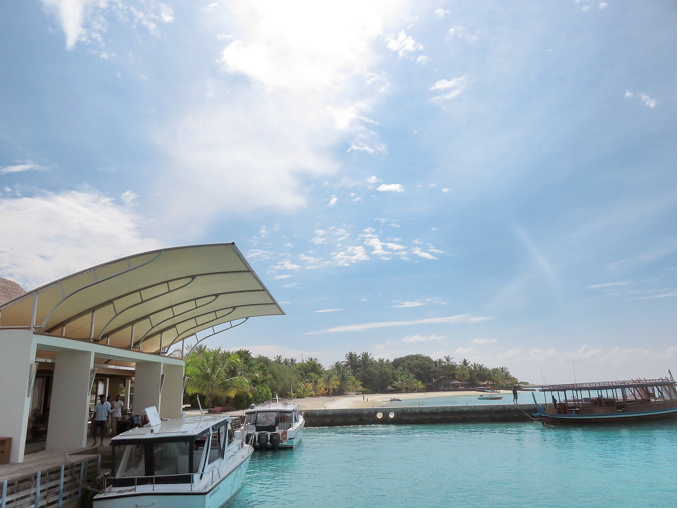 This time, I stayed a 10-minute speedboat ride away from Malé. And no, the water is not bluer on the other side. 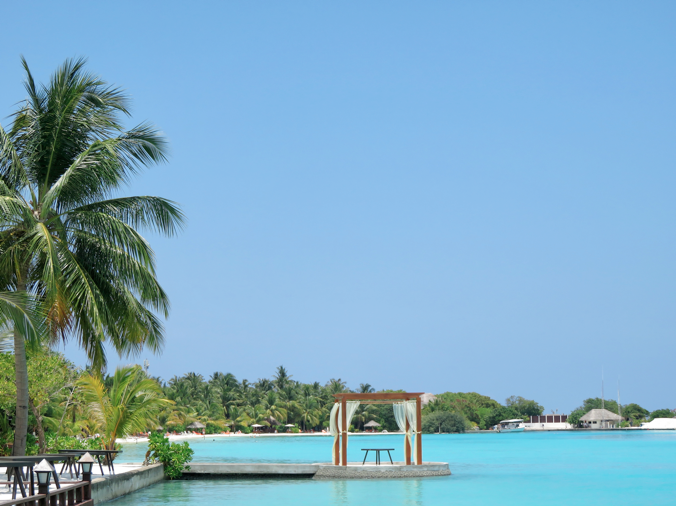 The Maldives is beautiful everywhere and you won’t be missing anything staying near Malé. 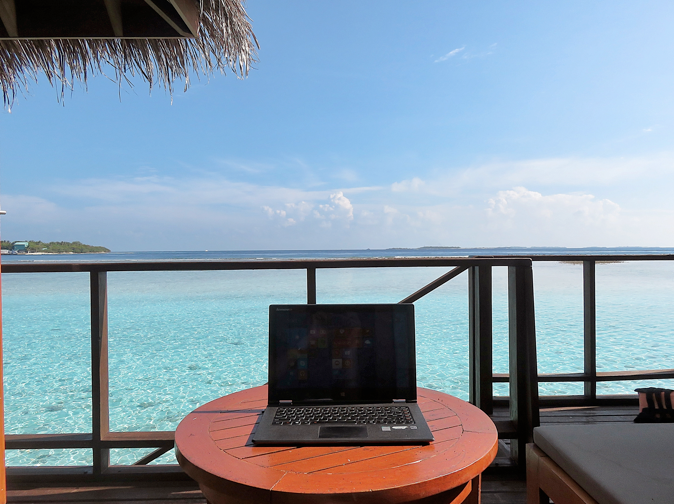 With such a panoramic view of the turquoise blue water right outside the water bungalow I stayed in, doing work can get distracting when everywhere looks like this. Speaking about picture-perfect, I got to try out the Canon PowerShot SX710 HS on this trip, and the photos from my trip were all taken with it. I initially had my doubts about compact cameras as a whole, but it grew on me over the span of 4 days. Mostly because it was a refreshing change from my bulky DSLR. I just slipped it into my pocket and brought it along everywhere I went. You can opt to take part in some of the complimentary water activites provided by your resort. 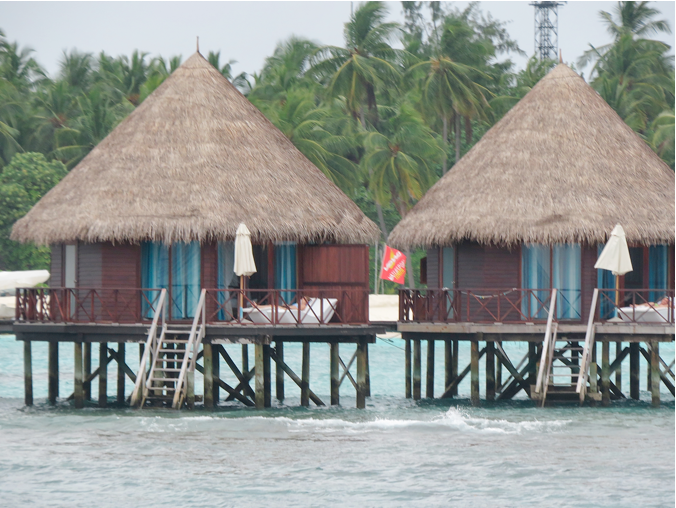 Where I stayed, their activities included canoe-ing, stand-up paddling and snorkelling. The waters here are super still. The only waves made are from passing ferries and seaplanes. So swimming in the ocean here is like being in a giant swimming pool. You’ll get a rude reminder you’re actually in the ocean when you accidentally consume sea-water. Reminder: sea-water is very salty. But it’ll still be hard to process that you’re actually in the ocean and not a pool, because the water is crystal clear. This is me before attempting to paddle to the island across. Because the waters are so still, you will practically glide through the water without having to struggle. When I was halfway there, the watersports guy rushed out on a jetski and told me to go back to the hotel. Oh well, it was worth a try. The Maldives is the lowest country in the world and its highest natural ground level is only 2.4 metres above sea level. Every year it sinks more. 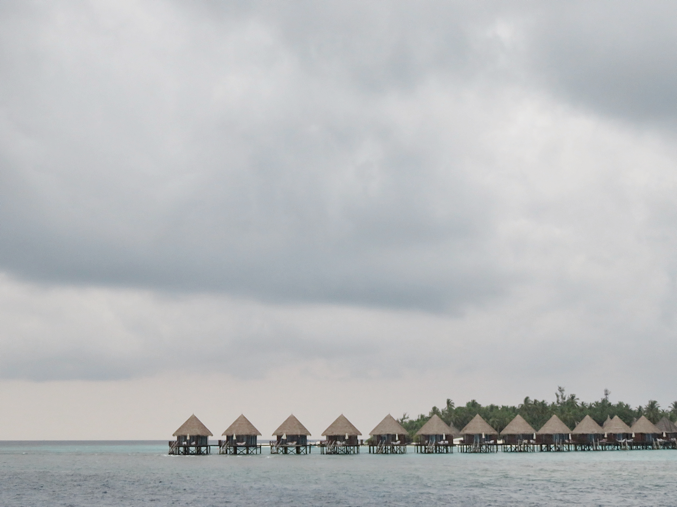 People speculate that one day the Maldives will totally disappear. But what this means right now is areas that are covered by sea were actually land not a very long time ago. And this means shallow waters for miles. And this was exactly the case just outside our villa. It made it ideal for lazing in the waters or swimming with the fishes. 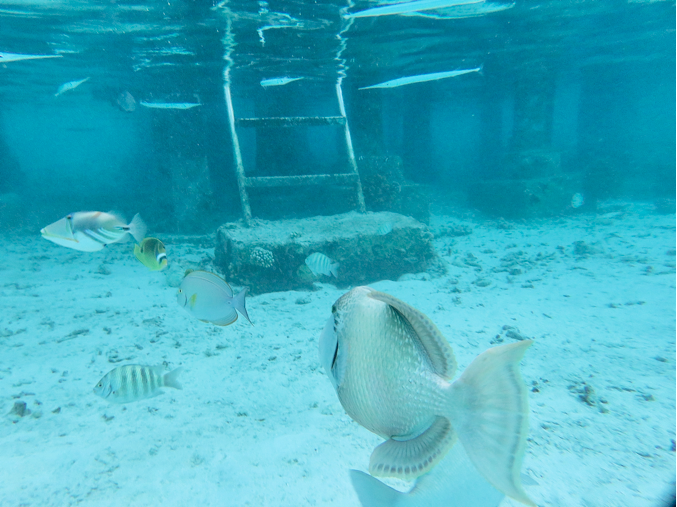 The fishes are relatively friendly here but of course, even friendlier when you throw bread from lunch at them. Took the PowerShot SX710 HS out for a swim (in a waterproof casing of course), in hopes of being the next Ellen Cuylaerts. Guess I wasn’t much of a fish whisperer but I still managed to get some some shots of them at least. You know how they have like one block of coral in the SEA aquarium fish tanks? 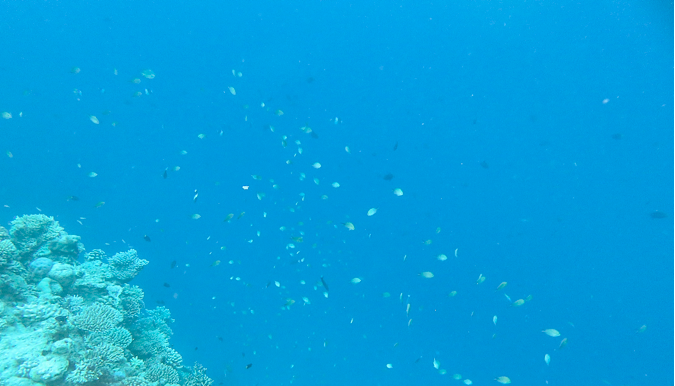 Over here, it’s endless rows of corals that go on as far as the eye can see. And every inch of it teems with marine life. 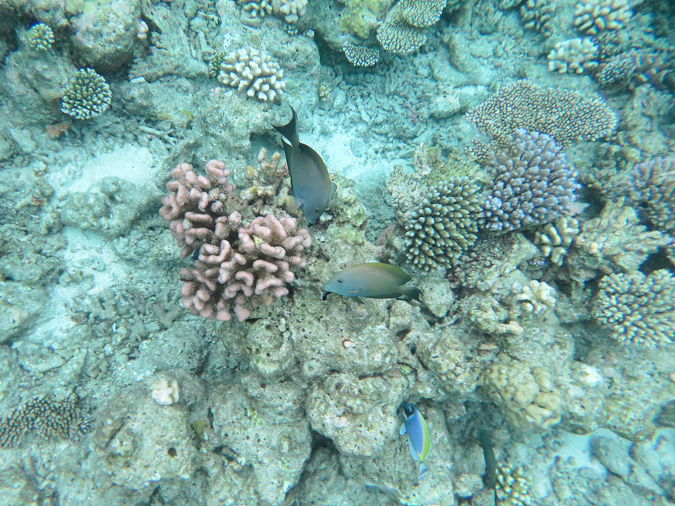 You’ll never see so many fishes and corals in your life. 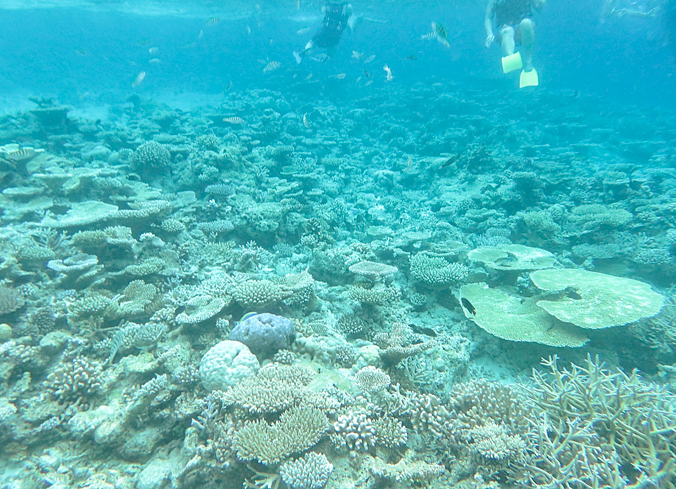 The only sad thing is that these coral reefs are getting affected by global warming and human activity (e.g., fishing), causing many of the reefs to pale in color due to water acidification and increasing temperatures. With global warming on a roll, you now have even more of a reason to visit the Maldives as soon as possible. 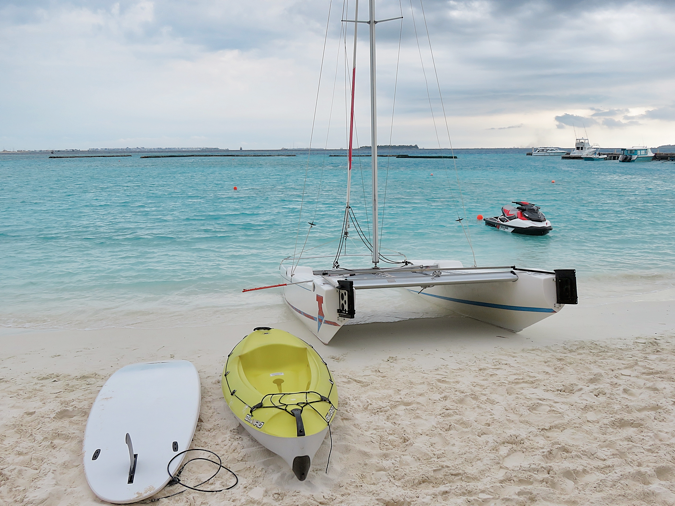 Tip: To get to the best snorkelling spots, you have to take a boat out. That’s why it doesn’t matter that much which resort you stay at. When our boat took us out to one of those famous coral snorkelling spots, I saw a luxury resort in the distance. I decided to test out the 30x zoom of the PowerShot SX710 HS, which basically turns your camera into a pair of binoculars. These two shots were taken within 10 seconds of each other, from the exact same spot. And this makes the camera suitable for wide-angle landscapes even with the 30x zoom ratio. Hard to believe so much power was built into something so small. This camera could be in a Kingsman movie. Don’t panic if you see tiny reef sharks swim around the corals. 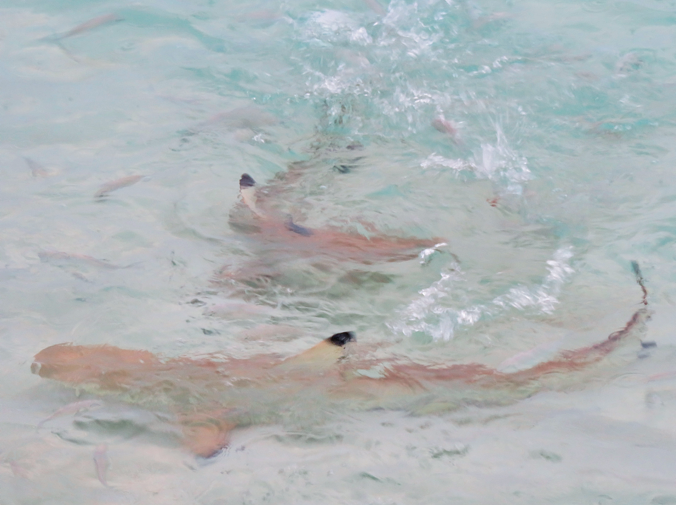 The resort had a special feeding time scheduled and the sharks would swim up all the way to shore for it. At that point, we had about 3-4 sharks swimming nearby. But we couldn’t go too near as they are afraid of people. It’s best if you have a diving license. You’ll get to explore the depths of the Indian Ocean to the fullest and from what I’ve seen and heard, the abundance of marine life in the Maldives sets it apart from other diving destinations. You literally get to swim with manta rays and sharks. Unfortunately, I didn’t get to do that. 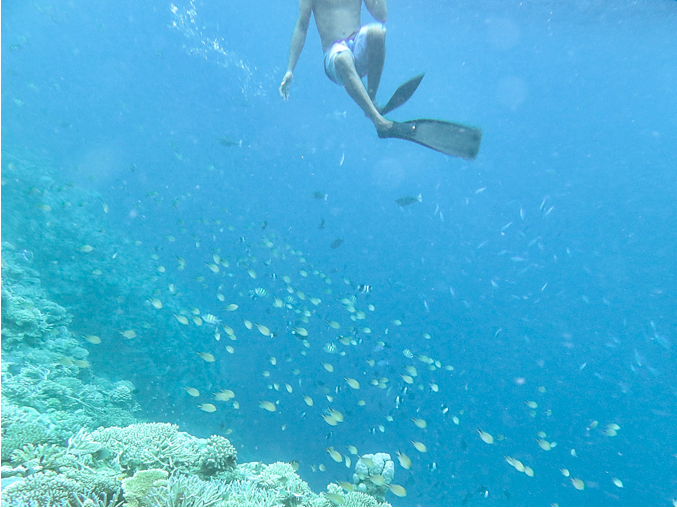 Still, decked in just snorkel gear, I felt like I was in a National Geographic episode, diving into the great abyss. You see where that coral reef ends? It hits a sharp vertical decline into a bottomless pit of darkness. I didn’t actually dive into it but that image played out in my head as I swam past that rainbow of fishes. This gives computer wallpapers a new meaning. You’re now in the wallpaper! When I got there, I sent my friend the picture below and she thought I took it from Google Images. It’s just crazy to wake up to something like this. I could get married here. But no. That’s just a fancy dinner table. 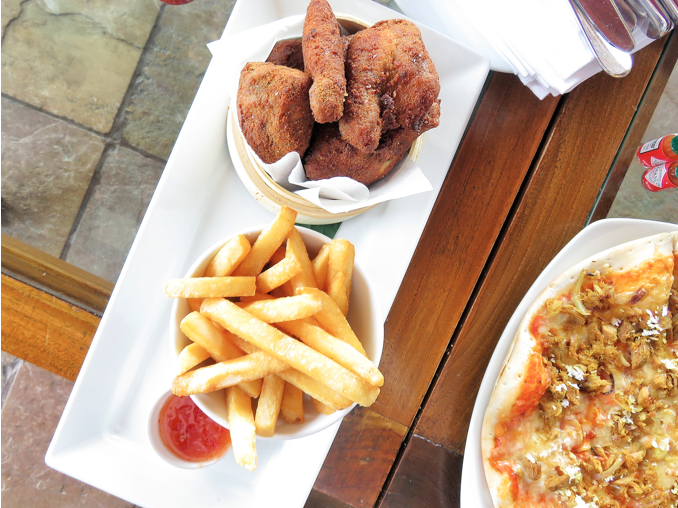 Most of the eateries at our resort overlooked the calm, blue lagoon. Although blue is said to suppress one’s appetite, it didn’t seem to do anything to mine. We tried some local food while we were here. 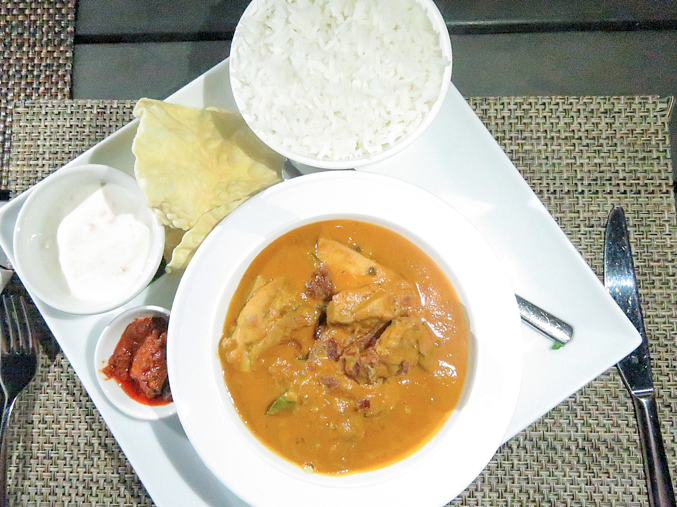 I highly recommend trying the Maldivian curry — it tastes like a richer version of Singapore curry. Many of the fish/live catch items seem to be tuna. So if you like tuna, this could very well be your dream destination. During my trip to the Maldives, I found the Canon PowerShot to be a super convenient travel buddy to record my travel adventures. One other good thing it had was built-in WiFi and NFC (Near Field Communication) connectivity, which made transferring all these images over to my phone and uploading it onto Instagram easy. The Maldives is a Muslim country and their laws are enforced strictly in the capital Malé, which isn’t very tourist friendly. If you’re heading there, note that females have to cover their elbows. You really don’t want to go to Malé though; it’s a chaotic mess. Unfortunately it’s not a beautiful type of chaos like Bangkok. It’s just urgh, chaos. 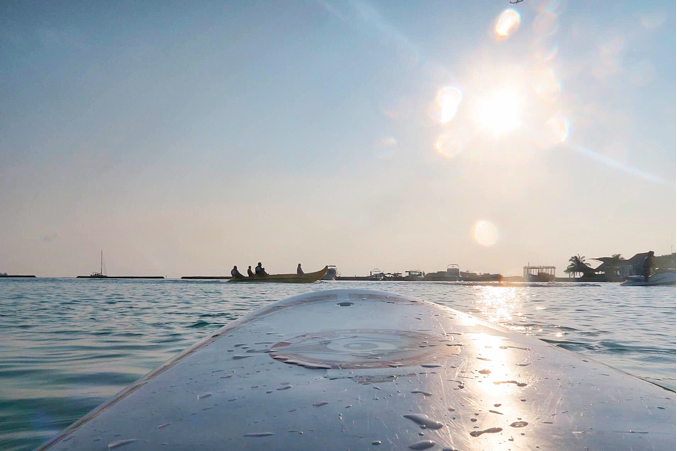 Head out to the surrounding islands near Malé, where the strict laws seem non-existent as these islands cater to tourists. People can dress liberally at the beach resorts. Make sure to have some USD on hand, as that’s the default foreign currency accepted besides the local rufiyaa. Things at the airport can be very expensive; Burger King meals costs 11 USD. 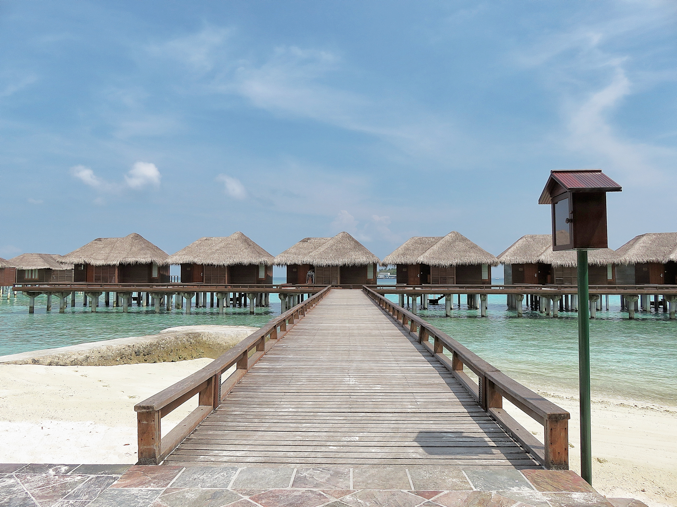 TigerAir is the only budget airline that flies to the Maldives from Singapore. Book your TigerAir flight here. If Singapore Airlines is more your thing, book your tickets here. The flight is a short 4 hours, and the local time in the Maldives is 3 hours behind Singapore’s. I travel a lot but no matter where I’ve been, my first trip to the Maldives remains my most memorable holiday experience. Sure, there’s Krabi, Langkawi, Redang, etc., which are all nearer to Singapore. I’ve been to all these cities and while they’re decent beach holidays, they pale in comparison to the Maldives. 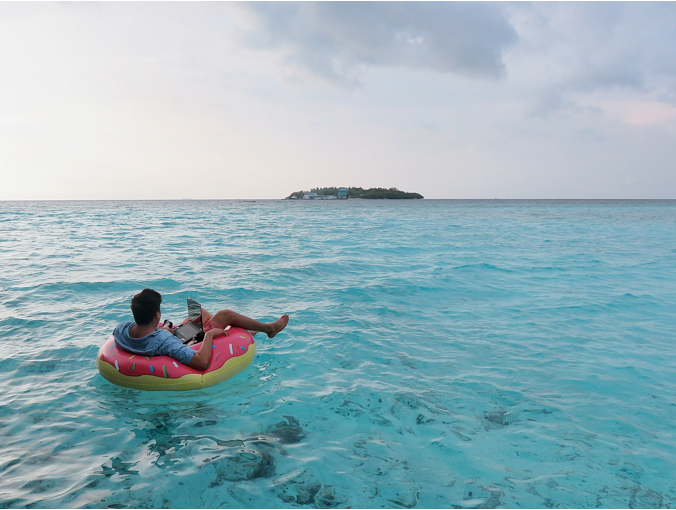 And now, flying to the Maldives is actually similar in cost! So go ahead and make the trip. 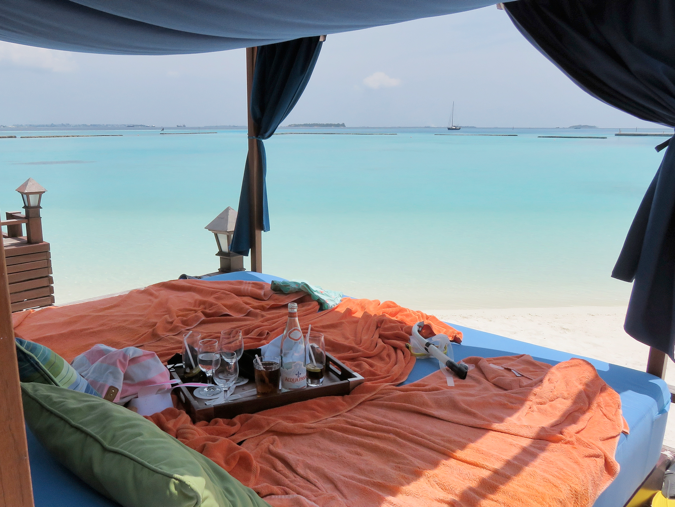 Everyone deserves to visit the Maldives at least once in their lifetime. 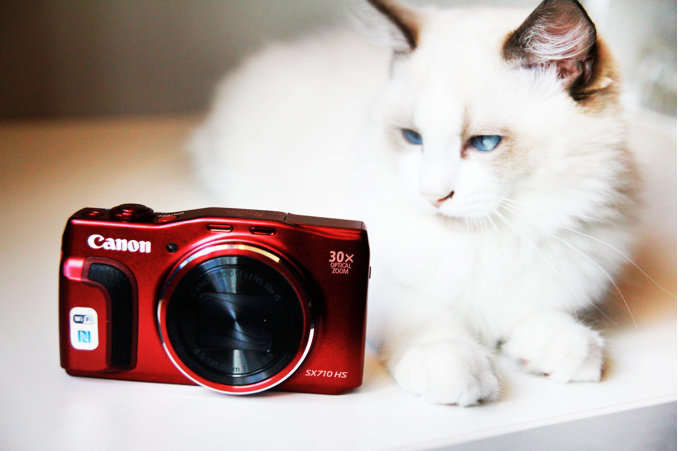 Win A Canon PowerShot for yourself! Again, a big thank you to Canon Singapore for making this trip possible. If you want to win the PowerShot as your new travel buddy, just follow these simple steps. A total of three Canon PowerShot Cameras are up for grabs! Upload a picture of your travels on your Instagram account with the hashtag #TravelWithPowerShot and tell us why you want a Canon PowerShot as your travel buddy. Contest ends May 15! This post was made possible thanks to Canon Singapore, and was written by Bryan, who enjoys using his brain to heat soup at a distance. He requires more practice because the soup is still cold.